It’s one of humanity’s most all-consuming questions, fascinating scientists, governments and pop culture alike. 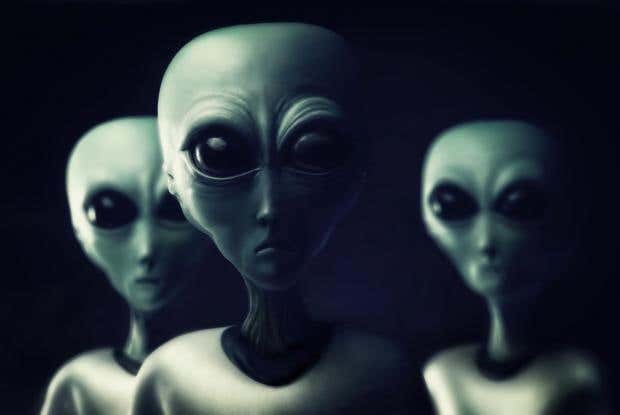 But now, one US space scientist is claiming that advanced life forms may be a reality – but that they disappeared long ago. Professor Jason Wright, an astronomy and astrophysics professor at Pennsylvania State University, published a paper in arXiv entitled ‘Prior Indigenous Technological Species’. He claims that ancient ‘technological species’ may have lived on Earth billions of years before the human race. Well, either Earth, or a “pre-greenhouse Venus,” or “a wet Mars”. He’s not 100 per cent sure. Given that it is known to host complex life, the most obvious origin for a prior species of any sort is Earth. Present-day Venus would seem to be a terrible candidate for a technological species, with a surface temperature over 700K, although when it comes to alien life we should keep an open mind about even this. Wright believes that the ancient species has disappeared, but that in the past we could have found found traces of them underground, called “technosignatures”. However, he claims that most of the physical evidence would now be lost. On Venus, for example, the global greenhouse arrival may have resulted in a resurfacing of the planet, while on Earth the movement of tectonic plates and subsequent erosion could have erased any lingering traces. Nevertheless, he writes, it might still be possible to recognise these technosignatures even if the physical evidence is all but destroyed. Structures buried beneath surfaces might survive and be discoverable as long as they do not suffer a collision so severe that their artificial nature is obliterated. Merely destroying them would render them nonfunctional, but they might still be recognisably technological. We might conjecture that settlements or bases on these objects would have been built beneath the surface for a variety of reasons, and so still be discoverable today. Wright proposes that we might find traces on more undisturbed surfaces such as the Moon and Mars. Of course, the idea that humans are not the only sentient species is nothing new. Indeed, he writes, “the idea of indigenous Martian civilisations pervades science fiction to the point of cliche”. However, the proposal that the alien species is already extinct is comparatively unexplored in the scientific field. But why does Wright think they disappeared? Wright says that “the most obvious answer” is a cataclysm, “whether a natural event such as an extinction-level asteroid impact, or self-inflicted, such as a global climate catastrophe”. …Such an event would only permanently extinguish the species if there were many cataclysms across the Solar System closely spaced in time (a swarm of comets, or interplanetary warfare perhaps), or if the settlements were not completely self-sufficient.Alternatively, an unexpected nearby gamma ray burst or supernova might produce a Solar-System-wide cataclysm.Even without a cataclysm, the species may have simply died out, or become permanently non-technological at some point, or […] abandoned the Solar System permanently for some reason.